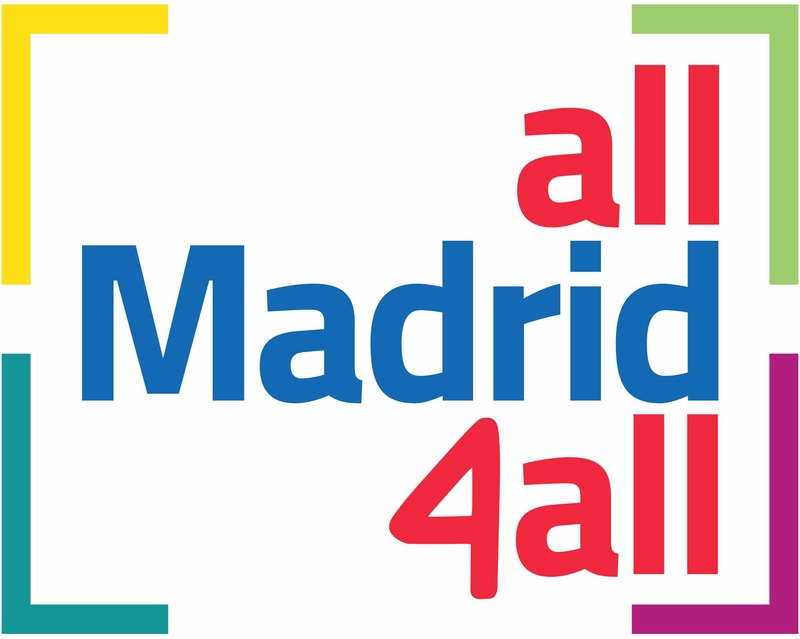 All Madrid for All has two key aims. Firstly, to raise awareness among local, public and private tourist industry professionals about these clients’ requirements and to publicise innovative tools and solutions for enabling them to be more competitive through accessibility. Secondly, to promote the region and city of Madrid as accessible destinations among specialist tour operators and travel agencies in the countries tourists come from, publicising the accessibility features of their tourist resources and services. 27th to 30th November. Fam/Blog Trip: an accessible trip around the Community of Madrid and the city aimed at bloggers with disabilities and tour operators and travel agencies that specialise in accessible tourism in the countries visitors come from, such as the UK, France, Italy and Germany among others. During the trip there will be visits to the region’s most emblematic places and all the premises included in the experience will be suitably accessible for everyone. 2nd December. TUR4all Fiesta: TUR4all is a mobile phone app and the accessible tourism website created by PREDIF and Fundacion Vodafone España (Vodafone Spain Foundation) for helping to enable people with accessibility requirements to travel, enjoy tourist destinations and take part in leisure activities just like any other tourists. During this event, people with disabilities, volunteers and tourist industry professionals will make an organised journey around the streets of Madrid in order to enter data on the TUR4all app regarding new tourist establishments. The TUR4all Fiesta is a public awareness raising event that will end with a music and dance show. 4th December. International Accessible Tourism Conference: this event will bring together professionals from around the world with broad experience in accessible and responsible tourism, travellers with accessibility requirements, public-sector bodies, private companies, travel agencies and tour operators that are already working in this field. The conference is aimed at professionals in the local, public and private tourist industry and is intended to be a forum for considering in detail and boosting accessible tourism in the region. Download the International Conference Programme in PDF format from the right-hand panel. Madrid Destino, Cultura, Turismo y Negocio, S.A. (public limited company of La Comunidad de Madrid) is an Associate Member of ENAT. PREDIF, the Representative State Platform for People with Physical Disabilities, is a Full Member of ENAT and is represented on the ENAT Board of Directors.